Board and Picture Books · Books · Children's Fiction · Reviews · Toddler · What Are You Reading? Where Did I Get It? Kindly received for review as part of the Parragon Book Buddies group. Milton had many things on his mind and a lot to say. The trouble was he couldn’t get anyone to listen. In this story Milton wants to know all sorts of things but every time he tries to get an answer, he gets told to ‘hold that thought’ and eventually it all becomes just too much for him. Reading this with Tori and Arthur they loved the illustrations and trying to find the missing Burp in the pictures as well as just talking about what they could see. 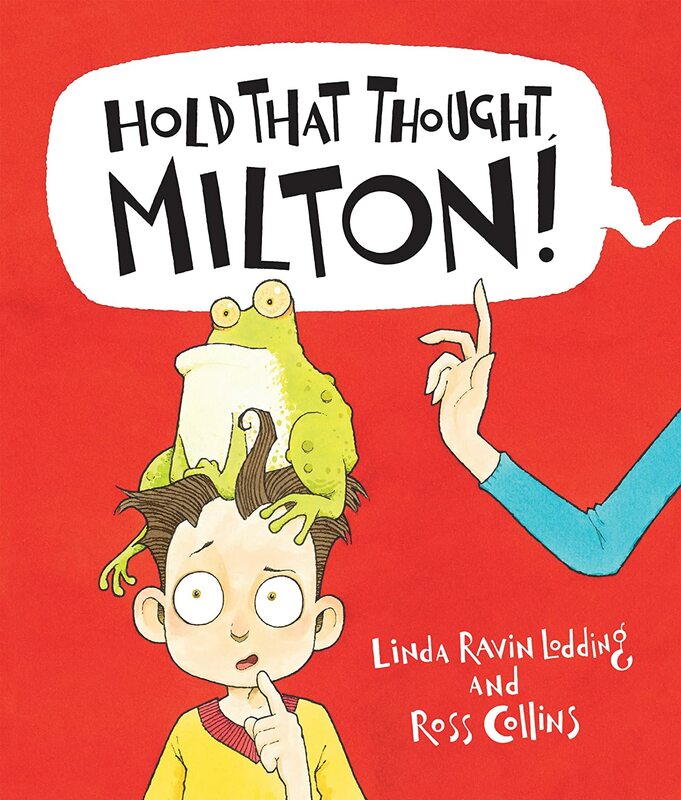 They thought it was hilarious when Milton had his froggy explosion and it lead to lots of talk about frogs and how they are different to people. A good reminder to grown ups that sometimes little people have important things to say too and that their endless questions which might seem trivial to us are actually important to them and a good fun read for littleys too. A good conversation leader with fantastic illustrations throughout I can see Hold That Thought, Milton! becoming a favourite on our bookshelf.